On most projects, HVAC ductwork is located in designated chases that maximize the efficiency of the airflow. 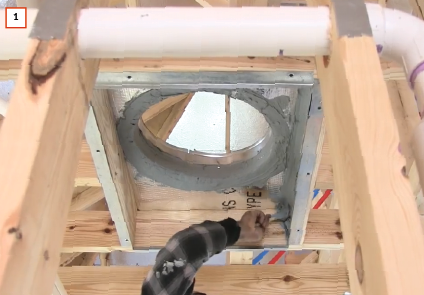 But the path for the final branch of the ductwork tree—the one that runs from the trunk or plenum to the outlet register—is typically chosen by the subcontractor. 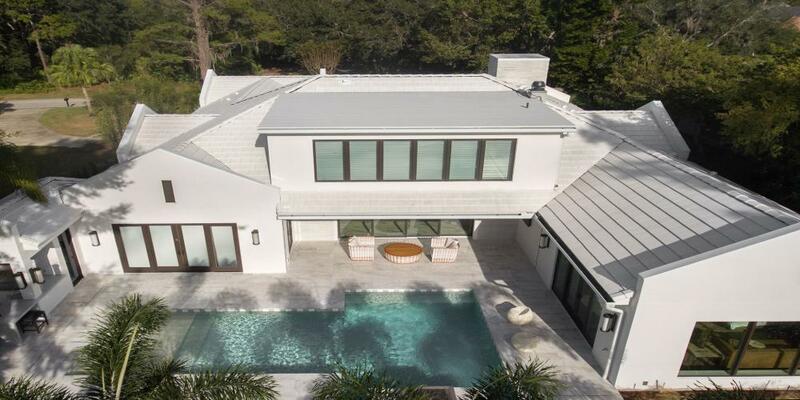 Often, they find themselves competing to find space to run the ducts among all the wiring and piping already installed by the electrical and plumbing trades. Flexible ducts can speed installation by reducing the number of joints in a run and eliminating the need for elbows and offsets. They also easily conform to oval as well as round connectors. But the physical properties of flexible ducts that create advantages are also the source of potential problems if care isn’t taken during installation. A good first step, or course, is to make sure there is effective communication among all the parties involved, including designers, framers, and HVAC, plumbing, and electrical tradespeople. But it doesn’t hurt to have visual aids when discussing, monitoring, or inspecting the work. 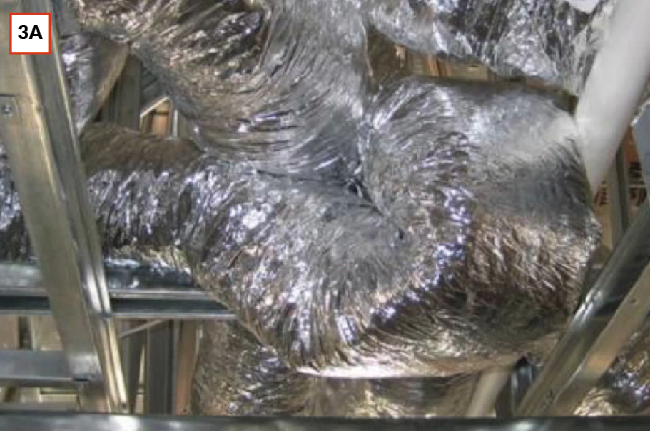 The details presented here were captured from the U.S. Department of Energy’s Building America videos and cover the fundamentals of flexible duct design and installation. A lot of what you’ll find here is common sense, but don’t let that fool you. Airflow is more complicated than it seems, and carelessness or disregard for these best practices can really come back to bite you. 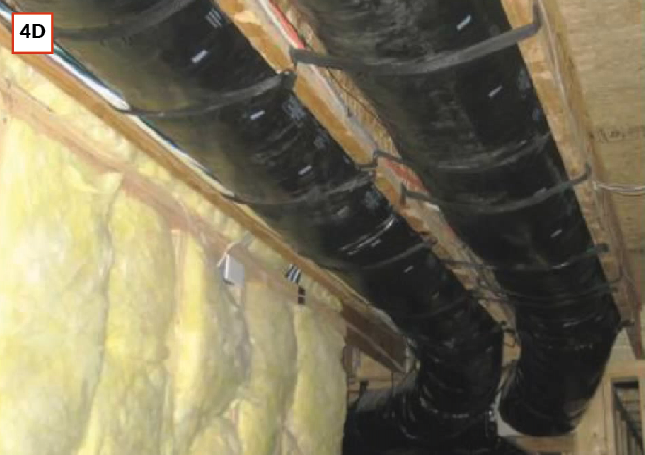 All ducts should be sealed using UL-181–rated duct mastic , and flexible ducts should be held in place with tie wraps at all connectors. Ideally, all ducts should be located within the conditioned space. 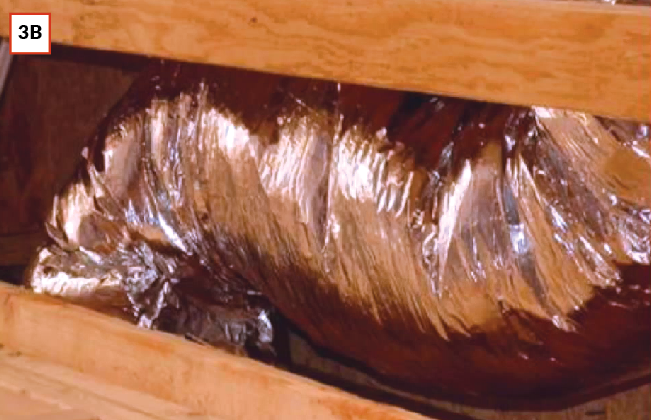 This is typically the case for ducts that run through a dropped ceiling or soffit, or between joists, so long as the floor system sits on top of a conditioned basement or crawlspace. 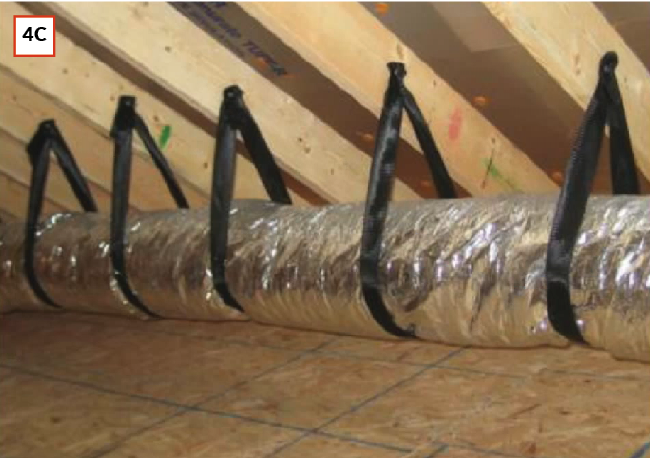 Attics can be problematic when insulation is located in the attic floor rather than in the rafter bays or, better yet, outside the roof sheathing. When ducts are located outside the conditioned space, they should be sealed to prevent loss of conditioned air and also insulated to prevent thermal loss or gain from the ambient air. 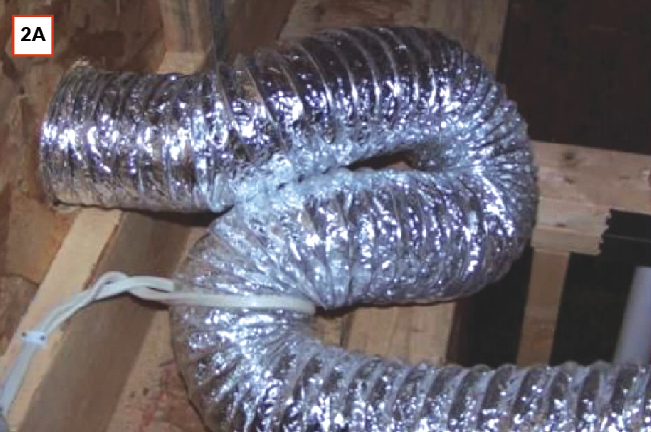 All ducts, whether rigid or flexible, should be sealed with UL-181–rated duct mastic. Duct tape has many uses, but sealing ducts isn’t one of them. Want more? Check out our 2017 Design Award winners! Friction is the enemy of airflow. 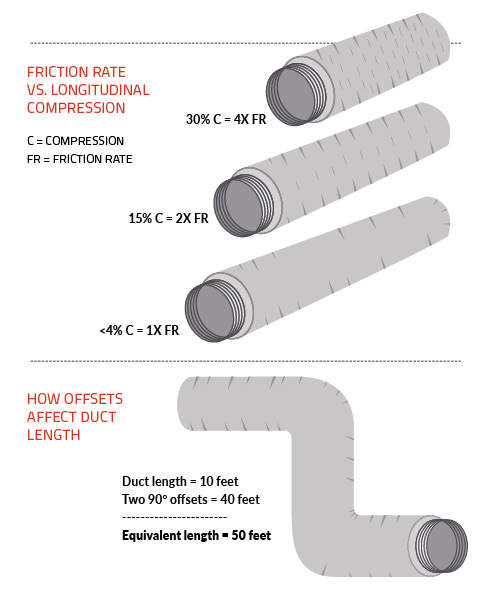 Unlike rigid ducts, which are cut to length within a tolerance of 1 inch or less, it’s easy to cut a length of flexible duct that’s several feet longer than is needed to get from point A to point B [2A]. That creates slack in the duct, which reduces airflow for two reasons. First, because the air has to travel farther, it is exposed to more of the duct’s interior surface area. Second, because the duct isn’t stretched tight, the wire ribs in the duct create more friction than usual along the entire length of duct. To maintain strong airflow, plan for short, straight runs during the design phase. Pay particular attention to the framing plan, and route ducts through floor trusses where possible [2B]. Monitor the plan during framing and be prepared to create chases to carry ducts where necessary. Also make sure that all ducts, regardless of length, are stretched tight between fittings. Avoid taking up slack with sharp bends [2A], which severely reduce airflow. Plan the framing package to include chases or trusses to accommodate ductwork [2B]. 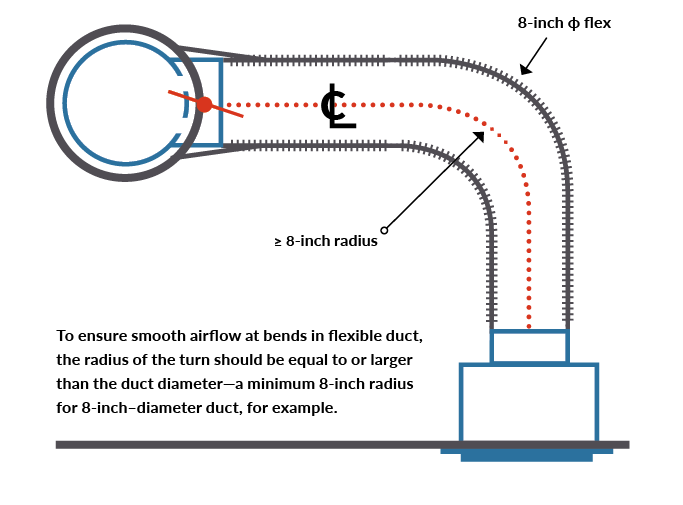 Ducts that are not stretched tight or that contain sharp bends can increase the equivalent length of the duct run by several multiples (see illustration, above). 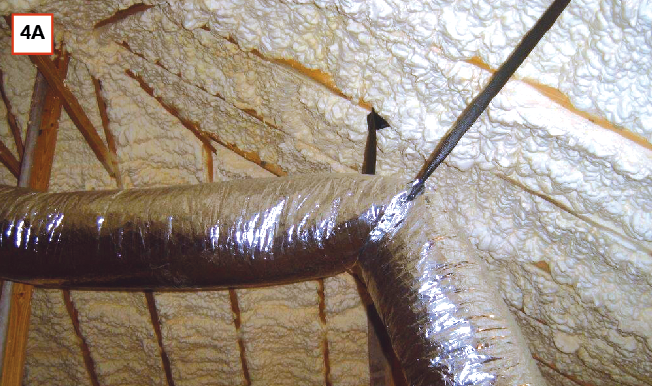 Airflow in a duct run of any length can be compromised by sharp turns or even kinks. And each turn, kink, or compression in a duct run reduces airflow, which results in more comfort-related complaints from your customers. Unfortunately, on many jobsites, poor planning of the framing and lack of coordination among subtrades result in all manner of bends and kinks, some of which all but stop airflow completely [3A]. Once the drywall is up, these problems are impossible to locate, so carefully inspect ductwork before the drywall crew begins its work. Kinks are comparatively easy to spot, but a sharp bend can constrict airflow and is more difficult to see [3B]. Where bends can’t be avoided, make sure that the radius of any turn is at least the same dimension as the duct diameter. For example, the center line of a bend in 8-inch–diameter duct should follow a curve with a radius of at least 8 inches [3C]. One easy way to ensure that bends meet this standard is to use metal elbows at these critical locations. Lack of coordination among subtrades can result in bends and kinks to avoid piping, wiring, and framing components [3A]. To prevent the need for costly troubleshooting behind finished walls and ceilings, carefully inspect before drywall is installed to make sure there are no sharp bends or any kinks concealed behind framing [3B]. Want more? Check out our top mechanical and electrical products for 2017! Sometimes the best route for a flexible duct run is up and over an obstruction. But without proper support, ducts can develops sags or kinks that reduce airflow [4A, 4B]. Space supports no more than 4 feet apart (a connection to a rigid duct or to equipment counts as a support point). Supports should be at least 1½ inches wide. In long horizontal runs with sharp bends, use extra supports before and after the bends. 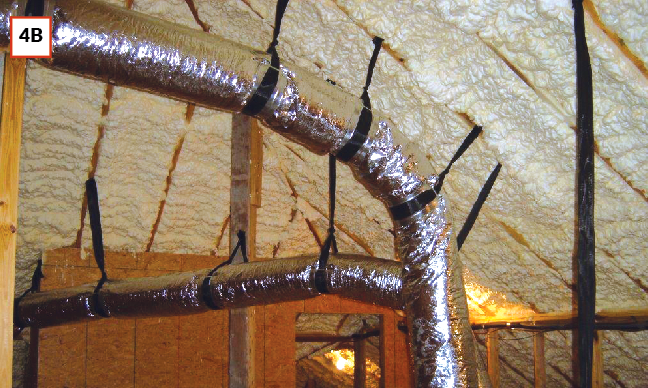 Don’t let the ducts sag more than ½ inch per foot between supports; maximum sag shouldn’t exceed 2½ inches [4E]. Support straps should not compress the inner core or constrict airflow. Supports should not constrict the insulation because that can cause cold spots and condensation, which can lead to mold growth. 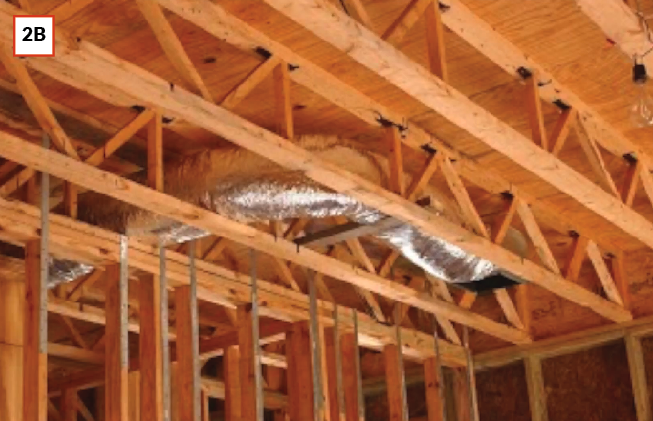 When ducts must be routed up and over an obstruction, too few supports can cause kinks [4A]. The solution is to create a gradual bend using supports at frequent intervals [4B]. Supporting material should be wide enough to avoid compressing the duct. This article was adapted from a video series at ProTradeCraft.com, which is based on material from the Building America Solution Center (BASC), an online tool from the U.S. Department of Energy that collects best-practices recommendations from the country’s top building science and home building experts. Is 4 inch flex duct harder to make?